From 2010. Taken from The Accidental Activist. When I went vegan more than twenty years ago, a common theme was to “win an argument with a meat eater.” Every topic was fair game, and every question or theory—no matter how tangential or absurd—was promoted and defended fanatically. I fell into this trap, too, believing and parroting the most outrageous claims about impotence, water usage, and other absurdities. It took me a long time to realize the point isn’t to show how many claims I had memorized, or to glorify my veganism, or to “defeat” a meat eater. Rather, the bottom line is to help animals by helping more people make informed, compassionate choices. Nonetheless, many dubious “pro-veg” claims continue to float around today, undermining effective advocacy for the animals. For example, some vegans feel the need to claim that veganism is “natural” (whatever that might mean). To this end, the vegan diet (as though there is a single vegan diet) has to be perfect in and of itself, no planning required, and no supplements. This leads to one of the most harmful fantasies: that we don’t need to worry about nutrition at all, including things like protein, zinc, iron, or vitamin B12. Of course, I understand the desire to believe that veganism is our natural diet (and would cure baldness, feed the hungry, bring world peace). But our goal isn’t to show how awesome veganism is. What is important is preventing cruelty to animals. To do this requires an honest evaluation of reality, from the nutritional aspects of veganism to the psychology of how people can and do change. But this is actually the opposite of how human psychology works. An argument for significant change isn’t strengthened by volume. Rather, any case for change is a chain—only as strong as its weakest link. Past a certain point, every additional argument offered to a non-vegetarian both dilutes and distracts from the strongest argument for making compassionate choices. As I’ve said before, meat eaters are the only ones in a position to save animals in the future. We have to engage them in a realistic, constructive, and honest manner—not glorify ourselves or impress other vegans. Of course, just as I appreciate the desire to believe veganism has near-magical powers. I absolutely understand the desire to defend our personal veganism with an endless litany of arguments, so as to “win an argument with a meat eater.” But again, defending ourselves/winning an argument is actually the opposite of how best to create real change for the animals in today’s society. Any time we offer an argument that can be debated (caloric conversion ratios, water usage, mortality/specific disease rates, relative carbon footprints/nutrition quality), the animals lose. It is hard to accept, but Uncle Bubba is ultimately irrelevant to our current work for the animals. He will be dead long, long before he could possibly become the impediment to a vegetarian society. Instead, our insistence on believing in and promoting the “magic” argument that “appeals to everyone” will, at best, lead Uncle Bubba to replace red meat with much smaller chickens and fishes. The net result will then be that his choices cause many, many more animals to suffer. When we offer arguments that reinforce the idea that everyone should be motivated only by self interest, we reinforce society’s call for people to change from eating large animals to smaller animals. Therefore, we must always assess the total net impact of our advocacy on all animals—not just whether an argument sounds good to us or a worked for a few individuals we happen to know. Regardless of how a story, study, or claim sounds to us, if there is any chance it could lead non-vegetarians to eat more chickens and/or fish, we should not promote it. Of course, arguing for people to eat “healthy” will also reinforce the assumption that we should only do what we feel is in our best interest. 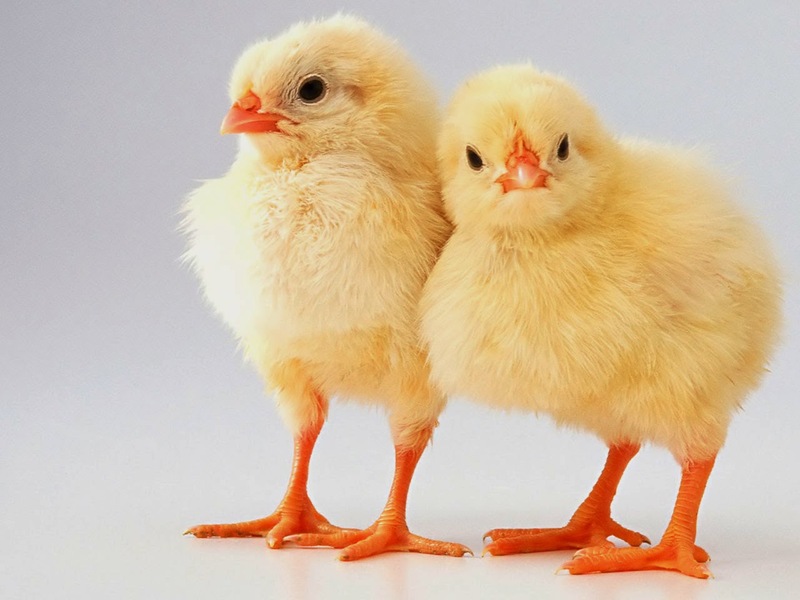 When I stopped eating animals, about five billion birds were killed in the U.S. each year. Now it is almost ten billion—all because of “self interest.” We advocates obsess over the fact that the “health argument” convinced raw foodist Suzy at Meetup, and we conveniently ignore our culpability for the near doubling of animals slaughtered for “healthy” food. It is simply wrong, on every level, to turn a blind eye to the huge increase in the number of animals suffering and the reason behind that horror: self interest. Let me emphasize again: I want to do whatever I can to reduce the number of animals suffering. I totally sympathize with the desire to find the perfect self-centered argument that will appeal to more people. But we can only help animals by being more interested in reality than our personal desires. How powerful an argument seems to us is utterly irrelevant. Only by working in the real world and convincing more non-vegetarians to make net positive change can we really help animals. 1. At this time, there simply is no magic argument or combination of arguments that will convince everyone—or even a majority—to go vegan. 2. The health argument, as it is actually interpreted and acted on in the real world by non-vegetarians, has killed many, many more animals than it spared. 3. Every additional argument we present to meat eaters gives them more distance between themselves and their real and immediate connection to the brutality on factory farms. The question we must each ask is: Will we work for animals in the world as it is, or live in the feel-good vegan echo chamber? Each of us can make a real, significant difference. But we can’t afford to make my past mistakes again, or try to win an argument. Rather, we must focus on truly helping animals. If it's annoying for me to get lectured by whole food purist vegans, as a vegan myself, I KNOW it has to be a 1000x worse for non-vegetarians. I don't want to associate with those vegans, but I remain vegan because I was given the opportunity to research the subject myself and make the decision myself, for my reasons alone - not for the environment, not for my health, not for my ego, but for the animals that are suffering. I just want to help make the world a better place for more animals.